I wanted to use up some of the last bits of our favorite summer fruits before we went into fall baking mode full time. So, I threw together this fun galette. I love the free form nature of a galette. It is such a fun way to make a rustic dessert. We made this as a last minute item to share at a friend's BBQ. It was fun to bring something a little different. Plus this way you can bring it on a platter and serve it with a knife and fork. No need for special utensils and no worry about getting a favorite pie plate back home. A perfect way to share some of our favorite summer produce! Roll pie dough into a round shape. Sprinkle dough with almond flour. In a mixing bowl, combine peaches, blackberries, maple syrup, cinnamon, vanilla and corn starch. Mix until everything is evenly coated. Pile peach mixture in the middle of crust. Fold edges of crust over the edge of the fruit. Brush exposed crust with milk and sprinkle with sugar. Bake for an hour, remove and let cool for at least 15 minutes. Slice and serve war or room temperature. It is pretty tasty. I ended up making two that week! This looks absolutely delicious! I'm visiting from Happiness is Homemade Linky. Thank you! And you have definitely piqued my interest. I have never been to Manila. I will have to stop by! This looks incredible! 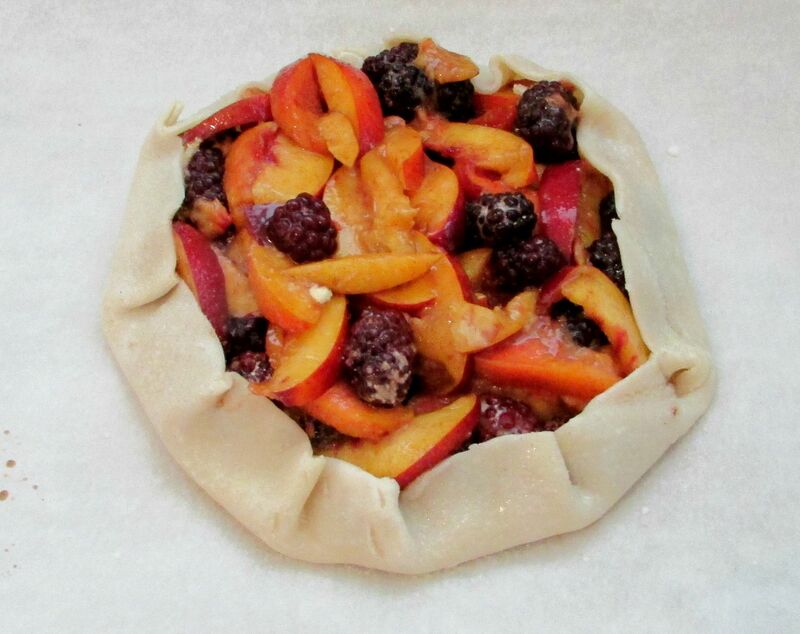 Love how you used both peaches and blackberries. Gorgeous! Thank you! Our blackberry bushes went gangbusters this year, so we have plenty in the freezer. I love mixing them in with other fruits and the peaches this year have been soooo flavorful! Not only does it sound delicious, it looks so pretty! Pinned and Tweeted. Thank you! I love it when you can actually see the fruit in your desserts! Mmmmm this is definitely something I would enjoy! But I probably shouldn't make it because I'd eat it all. ;) Thank you so much for linking up at Snickerdoodle Sunday- hope to see you again this weekend. That is the problem with making all this tasty stuff. Luckily my brothers live across the street and they are usually willing recipients of half eaten sweets! This looks so delicious - and easy to make. 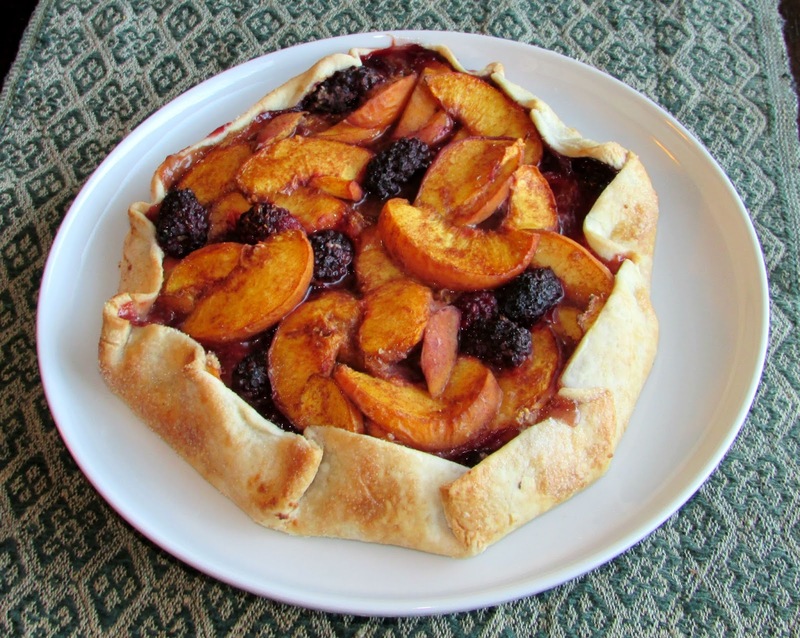 I hadn't heard of a galette before. Thanks for sharing with the #BlogFair. We're opening for another week in half an hour, so hope you can join us again! I don't make many galettes, but I do think they are fun. I will certainly be stopping by. What a beautiful dish! Thank you so much for linking up at Tasty Tuesday! This post has been pinned on the Tasty Tuesday Pinterest board! I love having you and can't wait to see you next week!